TASAT* (Tihomir's Anti Slipping Aparatus for Trucks); is revolutionary new alternative tire traction device (ATTD); a unique apparatus for preventing slipping of a tire under winter weather conditions; a smart and simple decision solving a lot of the difficulties and disadvantages of the currently existing conventional tire snow chains and other ATTDs. It is especially designated for semi-trucks and heavy vehicles aiming to help the professional drivers and the trucking industry. 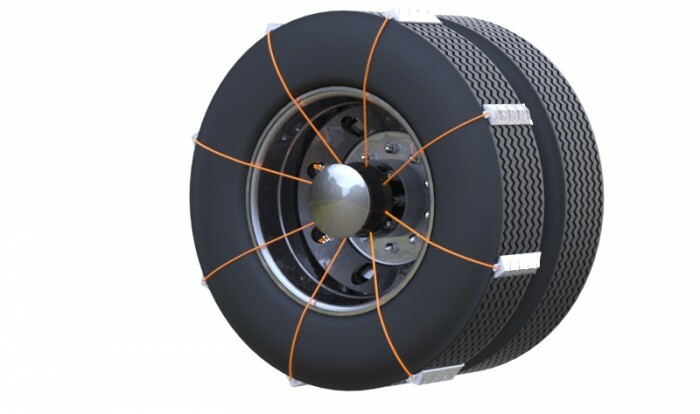 TASAT is a simple mechanism, permanently installed and stored to the vehicle wheel hub, designed to acquire numerous benefits. The device is divided to few identical sectors, operating independently from one another. 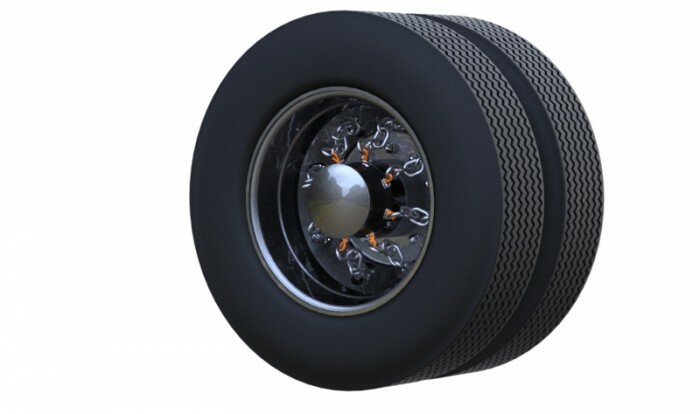 It provides reliable tire traction; a variety of options and flexibility to the professional drivers in order to escape faster of any situations while driving in winter weather conditions; on snow, ice and mud. Currently, there are dozens of successful winter tire traction devices (WTTD’s) on the market. Some of them having very questionable qualities. Surprisingly yet, when it comes to the heavy commercial vehicles, there are very few choices. As we all agree, the trucking industry is the “backbone” of the American economy. There are few millions semi-trucks in the United States. In fact, the numbers are so dynamic and constantly changing, that no agency is able to provide accurate official statistics. WTTD’s are must have equipment for every responsible professional driver, the ones that driving under such conditions is not just an option but duty. In many of the states WTTD’s are required by the state law and strictly enforced by DOT. Open for sale, license or other form of partnership. 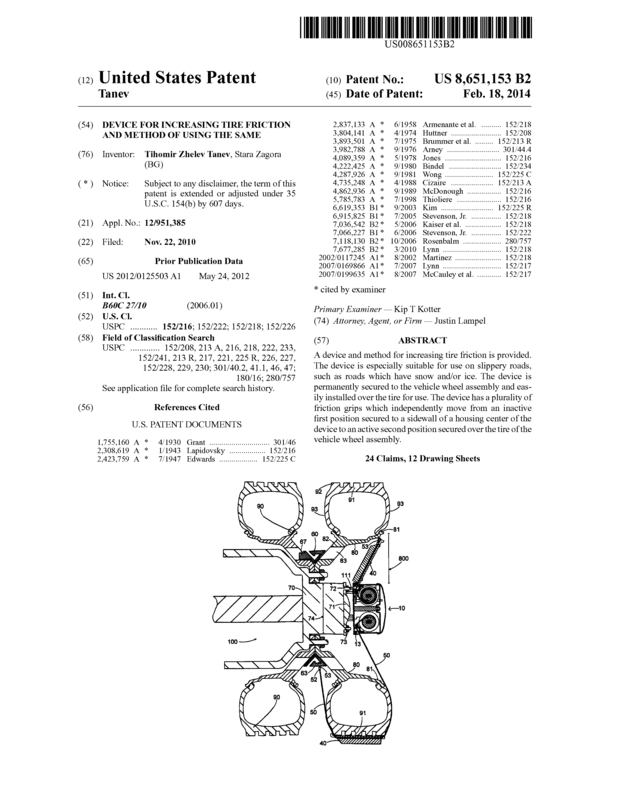 Page created at 2019-04-25 14:13:02, Patent Auction Time.